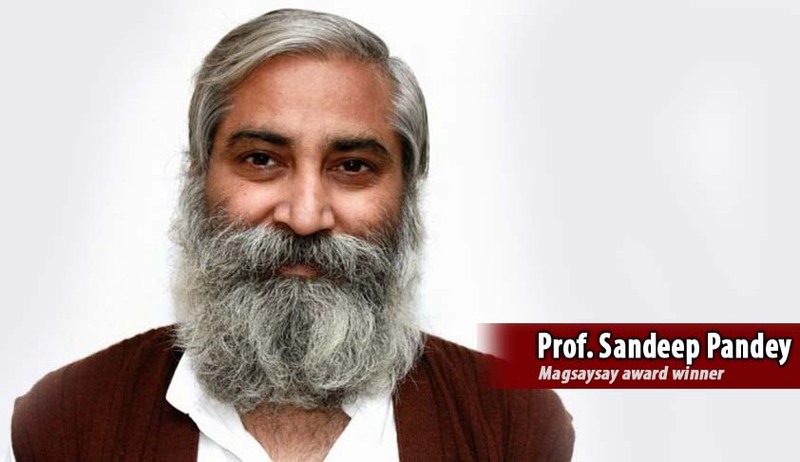 Allahabad High Court has quashed the resolution of Banaras Hindu University terminating the contract of Magsaysay award winner Prof. Sandeep Pandey as Visiting Professor alleging activities against National Interest. Allowing the Petition preferred by him, a Division Bench comprising of Justices Mahesh Chandra Tripathi and V.K. Shukla said that the decision by the University to terminate his contract is not a termination simplicitor, but rather a punitive order and such an order cannot be issued ex-parte without conducting proper enquiry in the matter, as was done in his case. Counter affidavit has been filed on behalf of the University and therein mention has been sought to be made that students of B.Tech. Are generally of impressionable minds and it is natural for such students of young age to be in intellectual awe of a mentor who has the credentials of being a Magsaysay awardee and such students naturally emulate such a mentor including his ideas and actions, in such a situation, such a mentor is under an onerous duty to be more circumspect in what he teaches and discusses with his students. Greater circumspection is required when the institute is located within the campus of Banaras Hindu University founded by Mahamana Madan Mohan Malviyaji and within the holy city of Varanasi, the religious centre of the country. It has been sought to be mentioned therein that the Vice-Chancellor, BHU and Chairman, Board of Governors, IIT (BHU), received a letter dated 15.10.2015 of Avinash Kumar Pandey, a student of MA 2nd Year, Department of Political Science, Faculty of Social Science, BHU, appending therein certain documents being e-mails etc. regarding activities of the petitioner within the institute as Visiting Faculty and also his political ideologies, involvement in political activities and being an active sympathizer of naxalites. Mention has also been made that the said documents clearly suggested that the petitioner in the name of Development Studies was not only openly defying the law of the land himself but was also propagating such defiance of law within the campus of institute in question. It has also been mentioned that apart from the aforesaid other mass mails sent to the students by the petitioner on the official mail of the institute selecting discussion note appending his own controversial articles. The topics for group discussion held by him were 'Killing of Mohd. Akhlaq justified', 'beef eating', 'beef ban', 'should religion be a matter of personal faith', 'killing a rationalist: silencing reason', 'killing of Prof. M M Kulburgi, Shri Naresh Dabholkar & Shri Pansare', 'atmosphere in the country is suppressing people's freedom of expression', 'preparation of political speeches' and there were e-mails from the petitioner broadcasted through the Registrar of IIT (BHU) regarding the lectures organised under “Acharya Narendra Dev Discussion/Film Series”, a forum founded by the petitioner, on several controversial topics which were either political or against the national interest.